modmove | Enemies become frenemies in the new The Angry Birds Movie 2! 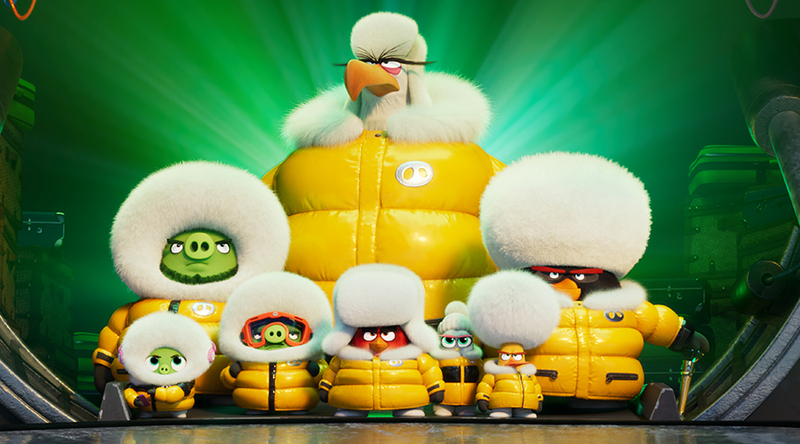 When a new threat emerges that puts both Bird and Pig Island in danger, Red (Jason Sudeikis), Chuck (Josh Gad), Bomb (Danny McBride), and Mighty Eagle (Peter Dinklage) recruit Chuck’s sister Silver (Rachel Bloom) and team up with pigs Leonard (Bill Hader), his assistant Courtney (Awkwafina), and techpig Garry (Sterling K. Brown) to forge an unsteady truce and form an unlikely superteam to save their homes. Starring Jason Sudeikis, Josh Gad, Leslie Jones, Bill Hader, Rachel Bloom, Awkwafina, Sterling K. Brown, Eugenio Derbez, Danny McBride, Peter Dinklage, Zach Woods, Pete Davidson, Dove Cameron, Lil Rel Howery, Beck Bennett, Nicki Minaj and Brooklynn Prince, The Angry Birds Movie 2 is in Australian cinemas September 12.